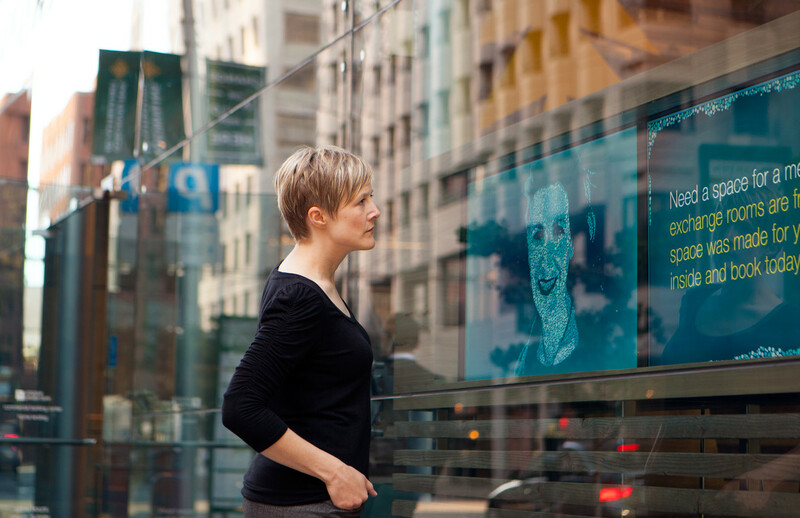 The Great Wall is made up of multi-touch interactives that highlight local banking experts, Umpqua's product ecosystem, and a section to learn about Umpqua's mobile and desktop app offerings. Exterior Spark Resource Center "multiplex" displays upcoming events as well as live weather, bus routes and Twitter feed. Exterior multiplex displaying upcoming events as well as live weather, bus routes and Twitter feed. 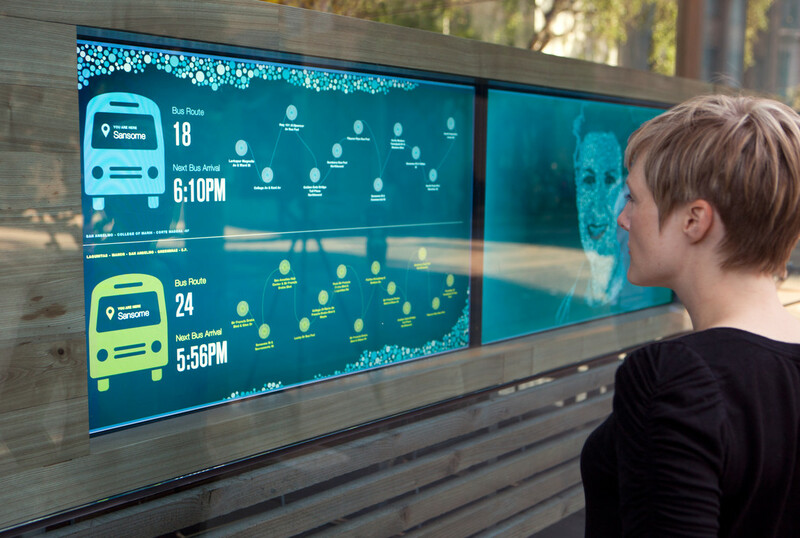 Exterior multiplex displaying local bus routes. 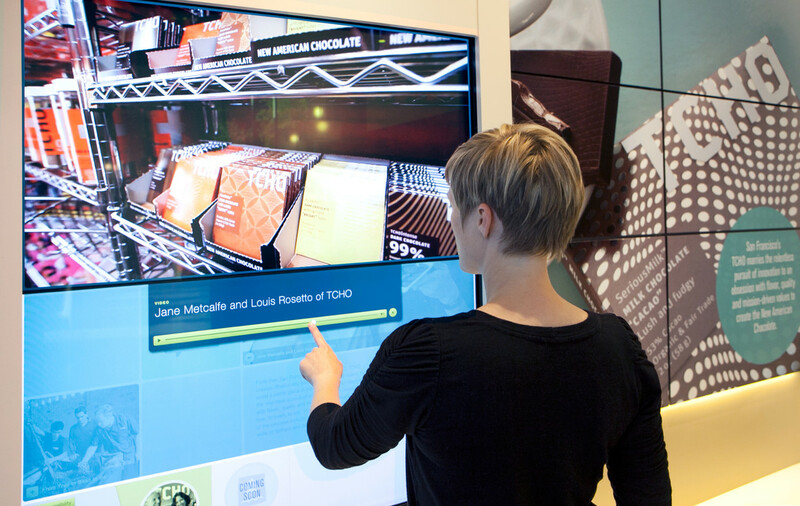 Umpqua's Business Inspiration Wall includes the touchscreen experience, as well as supporting graphics and some partner product samples to try (chocolate). 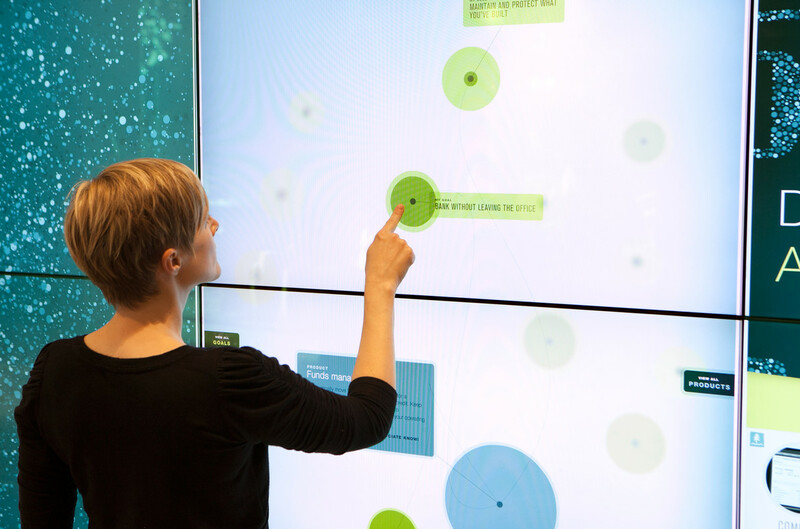 Store customer controls the playback of video content on the Business Inspiration Wall. Local Experts, Ecosystem, and App Highlights interactives. Detail of Product Ecosystem interactive. Exterior logotype sign carried a series of motion graphic animations, all rear-projected from six linked projectors. 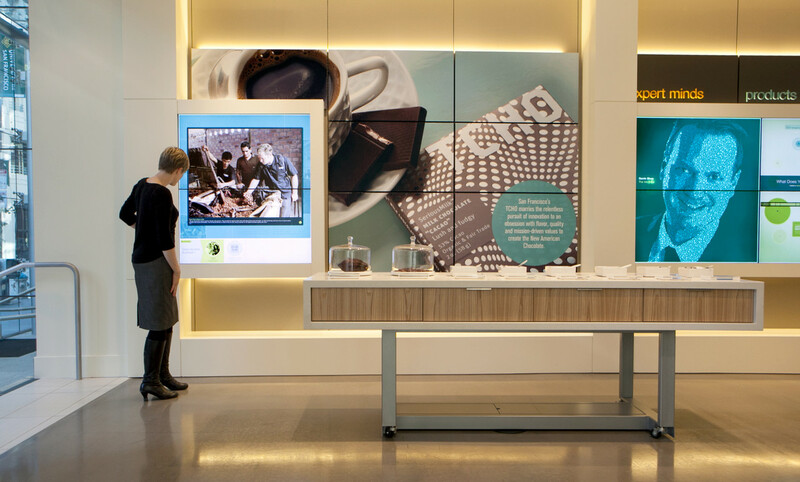 For their flagship store in San Francisco, Umpqua enlisted Belle & Wissell’s past museum experience and applied it to this progressive retail environment. 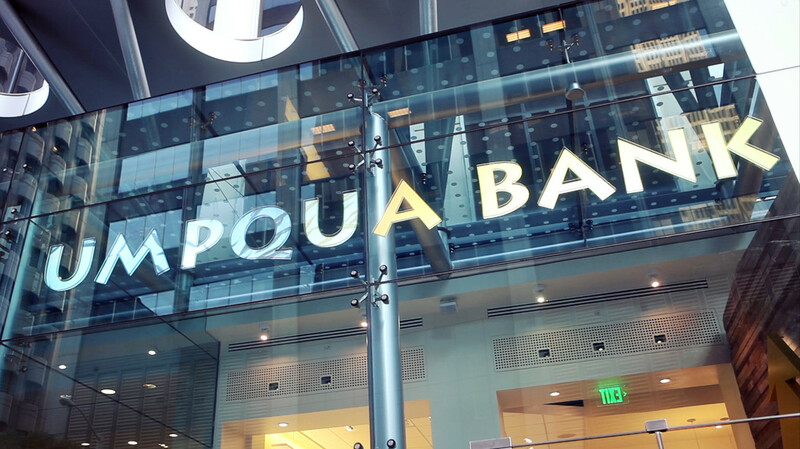 This store is Umpqua’s premier location (in the heart of the financial district) for showcasing it’s products and services, and for taking Umpqua’s brand experience to the next level. Inquisitive patrons are greeted with a set of projected motion graphics for the Umpqua logotype signage (powered by a 6-projector array). 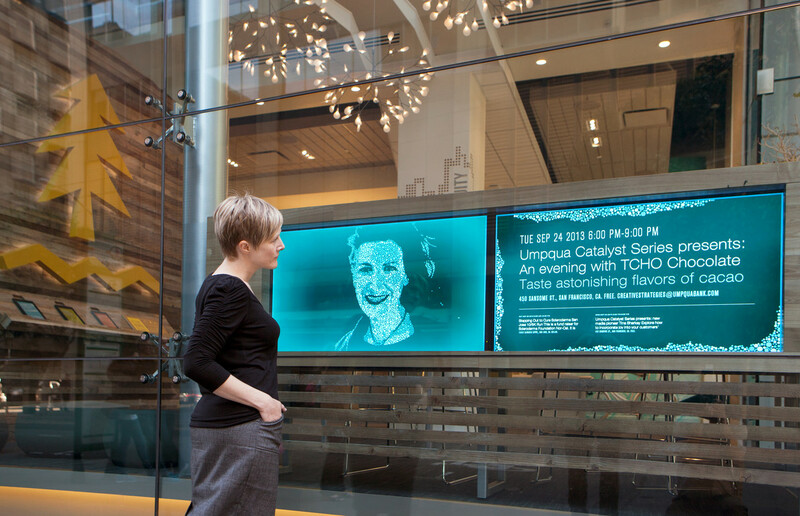 The exterior also includes a system of inviting information displays (The Spark Resource Center “Multiplex”) which cycles between animating modes that include transit information, weather feed, store events schedule, Twitter hooks with corresponding tweets, and short phrases designed to create intrigue for those passing by. 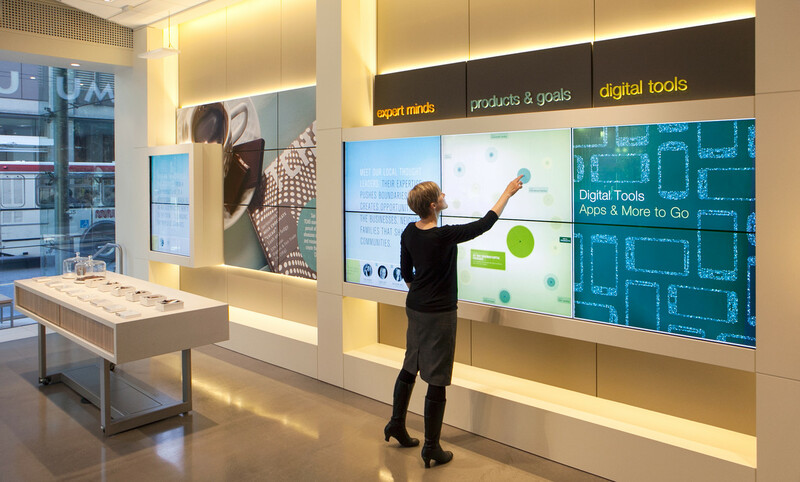 The store space features large, multi-touch interactive walls (The Business Inspiration Wall, and The Great Wall) which tell stories of local businesses through video, stills and written content. The Product Ecosystem is an abstract universe of business objectives that customers can explore and see the many ways that Umpqua can satisfy those goals. Patrons can also browse Umpqua’s mobile offerings and get easy access to downloading apps to their devices.